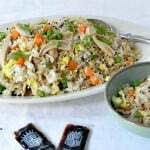 Easy Chicken Fried Rice is a recipe that your whole family will love. Your budget will love it too! 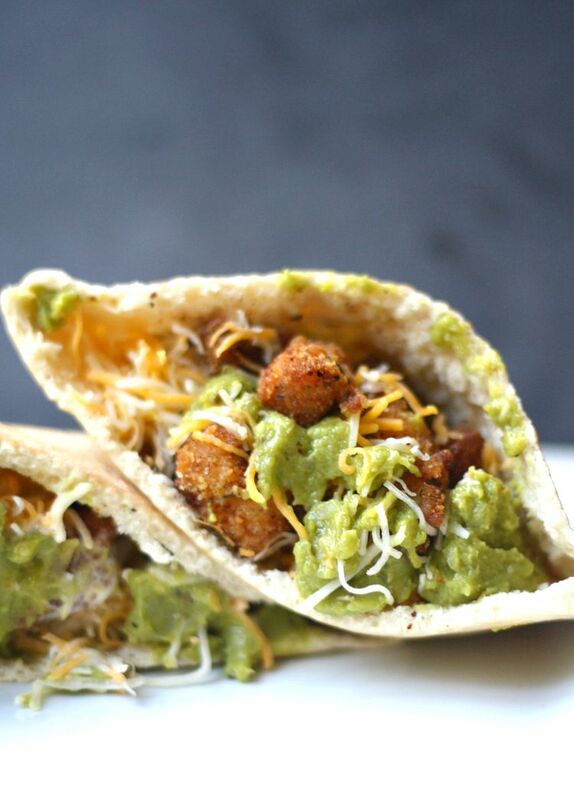 During this busy holiday season, an easy dinner is something we all look for. There is too much going on and who wants to stand in the kitchen cooking all night long? With just a few ingredients and little bit of time, your family will be enjoying this one pan meal. 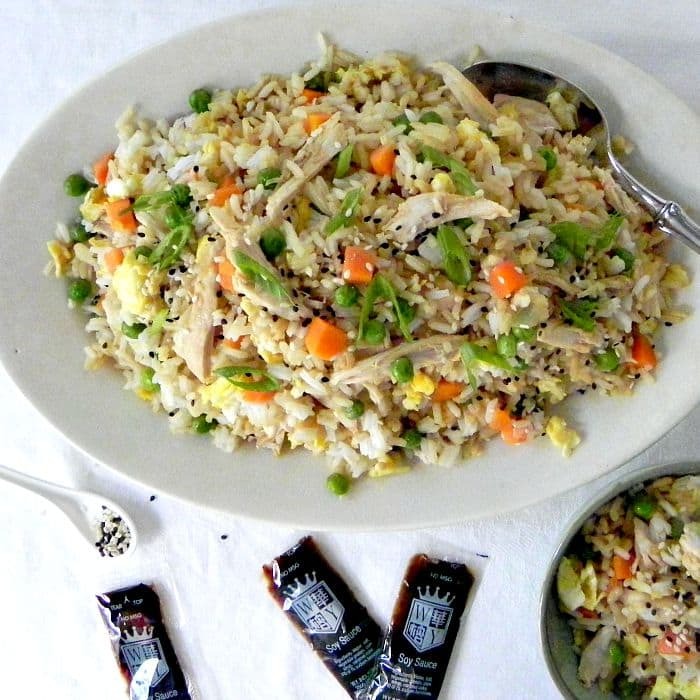 I used white rice, but you can easily replace it with brown rice. 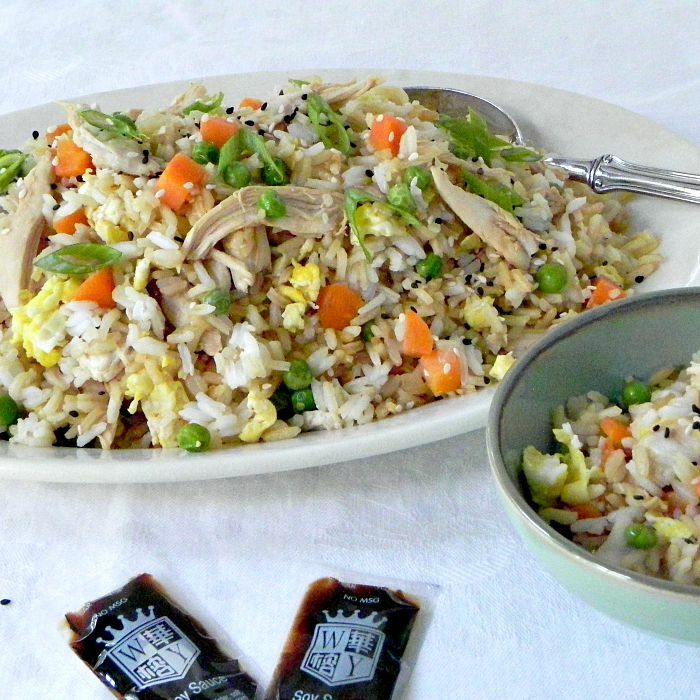 You can also substitute the regular soy sauce with a low sodium version if you are concerned about salt in-take. 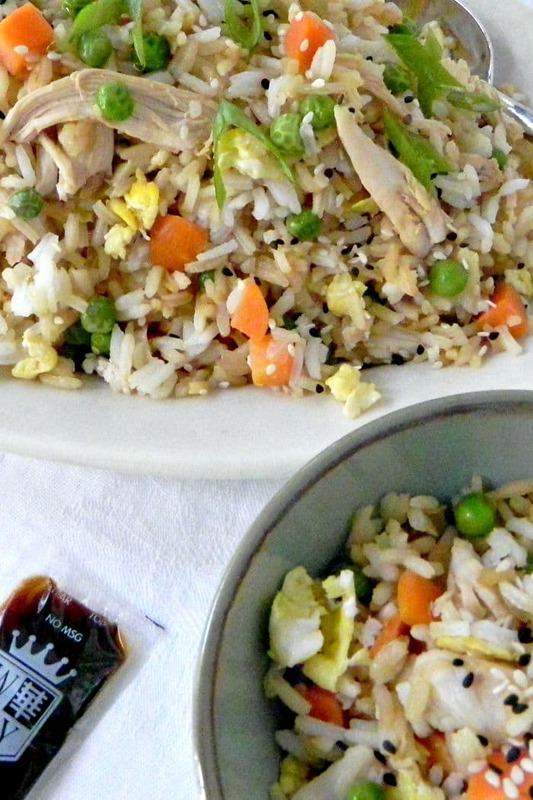 This easy fried rice dinner will be on the table in no time. 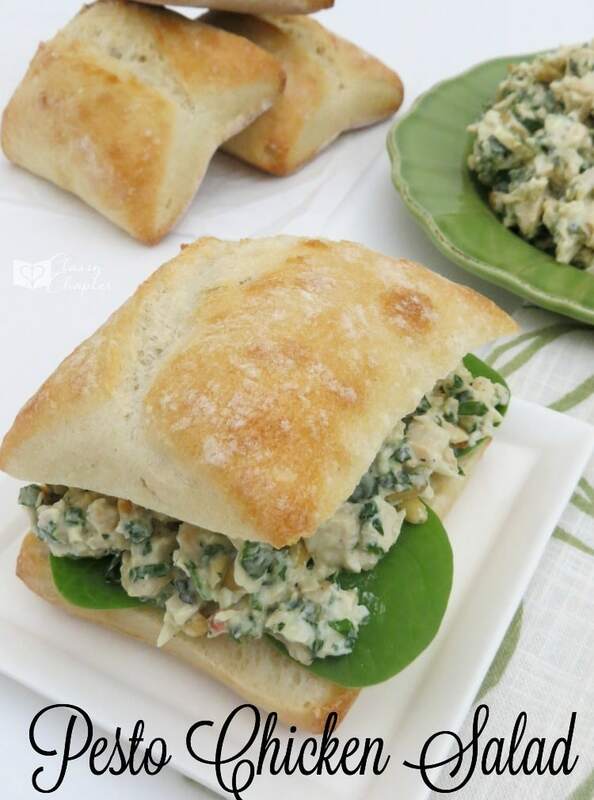 Use chicken, as called for in the recipe, or substitute shrimp, beef or pork.